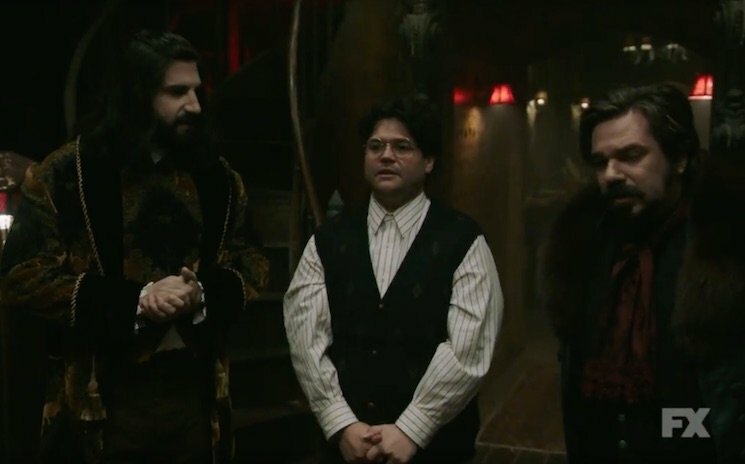 Taika Waititi and Jemaine Clement's vampire mockumentary What We Do in the Shadows was such a hit that FX decided to spin it off into a TV series. Seeing as how today is the spookiest day of the year, we now get two brief teasers from the show. The show stars Matt Berry, Natasia Demetriou, Kayvan Novak and Mark Prosch as four vampires living together in Staten Island. The show will deliver 10 episodes on FX this spring. Until then, enjoy two very brief teasers below.